The 23rd century, defined in the calendar of Earth as being from 2201 until 2300, was a period of expansion for the Federation, with humans and other founding species, such as Vulcans, at the forefront of exploration. The long-running conflict with the Klingons, begun in the 22nd century, was a major topic of this century's history, as was the rekindling of tensions with the Romulans. Of particular note are the voyages of the starship Enterprise and the careers of its long-serving command staff under James T. Kirk. Welcoming the newest outpost to join the United Federation of Planets, Hideki Station. This outpost will ensure easier means of crossing the vast distances between quadrants allowing races and people to safely relax and gather supplies for those long treks across the stars. Formally civilian run until 2267 when Jonathon Munster, former Captain of the USS Vesuvius, was stationed as the UFP's chief liaison, and has since guaranteed that the same visitor satisfaction would be available to all guests who come here and to the owners of the shops which have drawn guests here for nearly a century. Why worry yourself over the hostilities between the Klingons and the Romulans when you could have a drink at our wonderful Promenade Bar which looks out over our docking supports giving a beautiful view of orbiting ships. All races and culture are welcome under the standard non-hostilities clause of the United Federation of Planets Peace Treaty. 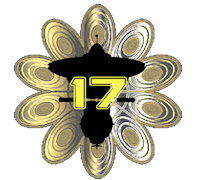 Come, meet interesting new people, new cultures, and possibly become a part of the ever growing history of Star Fleet at Outpost 17! Hideki Station/Outpost 17 � 2009-2010 Cody Bilbrey. Original images � 2009-2010 Jason Skaggs. Star Trek, Starfleet, The United Federation of Planets (UFP) are property of Parmount Pictures and used only as fandom. Second Life is � Linden Research, Inc. Site design and maintence care of Marr0w_Productions.